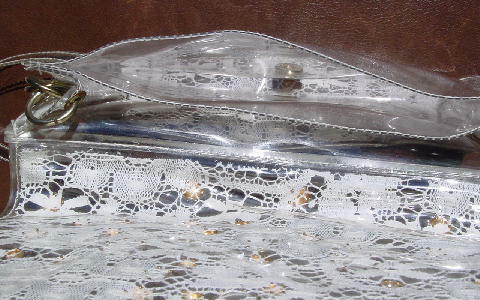 This vintage clear plastic purse has antique white lace in between the two flip-top panels. The outer top panel is covered with gold-tone balls (some are tarnished) in two sizes and faux jewel stones, also in two sizes. 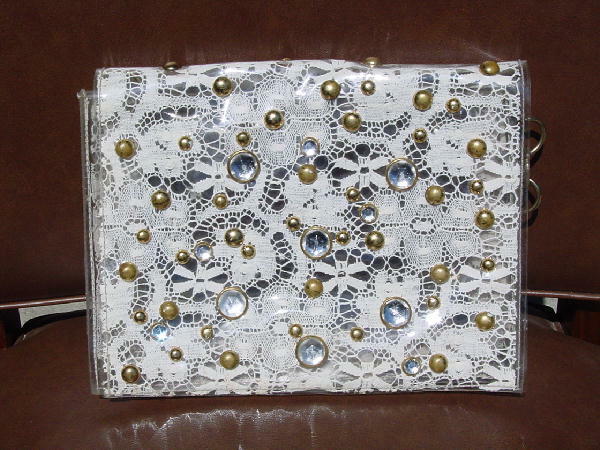 It has a magnetic closure under one of the faux jewels. The interior has a large center-back section and a thinner full front section. 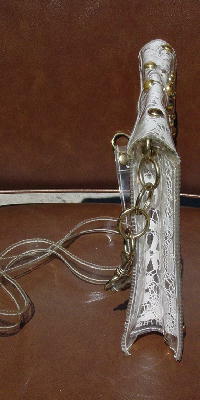 The sides and bottom also have the antique white lace in between the clear panels. It has a clear 38 1/2" plastic shoulder strap (There's an imperfection in the plastic on one side.) attached to 5 gold-tone rings on each side (for a total length of 49"). 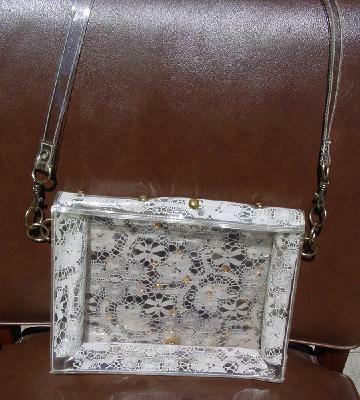 The back of the purse has a clear panel. There is no yellowing in the plastic.